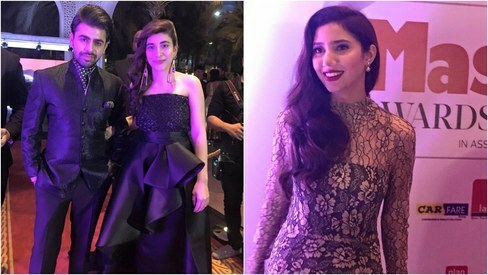 No one can doubt that Pakistani stars Mahira Khan, Saba Qamar and Mawra Hocane are powerhouses — they got talent, fans and respect wherever they may go. So it's little surprise that they were invited from Pakistan for Masala UAE's annual awards in Dubai. 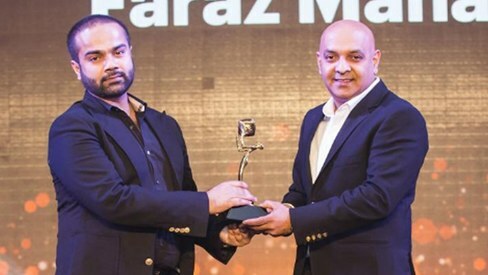 The awards, which took place at Bollywood Parks Dubai last night, saw the Pakistani actors feted for the milestones they hit this year. Mahira Khan was presented an honourary award for Asian Woman of Substance! She sure deserves it given her composure in the face of recent adversity. Mawra Hocane won Social Media Sensation — the Sammi stars has racked up a following of 2.4 million on Instagram and almost 1.4 million on Facebook, and we know she's just getting started! Saba Qamar won Best Breakthrough. With a smashing debut opposite Irrfan Khan in Hindi Medium, could there be any other winner for this award? 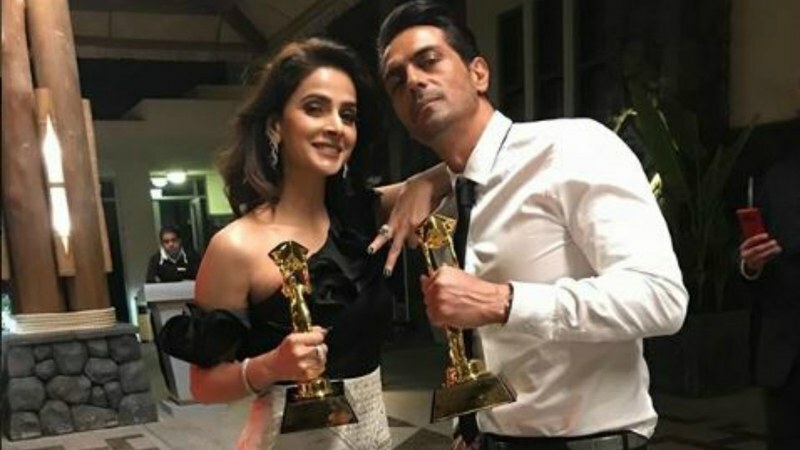 Meera was also invited to attend Masala Awards and took to the stage to present Arjun Rampal with an award for Contribution to Cinema — so that's what he's seen clutching in that photo with Saba Qamar! sick n tired of Mahira and Mawra. Saba Qamar is the best among the three..
By wearing such distasteful dresses what theses actresses trying to prove? Mahira looked beautiful and the best amongst them all. So proud of her. Congratuations to Mahira Khan, Mawra Hocane and Saba Qamar for winning the award. Good to see our talented ladies entering the bigger stage! Mahira looked like a royalty, walking the red carpet! It is so great to see a Pakistani talent that is representing Pakistan on international level. Mahira makes glamour look effortless! Congrat to Mahira for winning the Asian woman of substance award! Loved Mahira as zaalima in Raees, with srk,and Verna, she gave a spot on performance ,in this thought provoking movie ! Respect to MK ! , gown,and Saba shimmer in her black &awhile gown! Congrats, to them for their awards! Mahira khan is in the class by herself,she looked like royalty on red carpet just stunning!